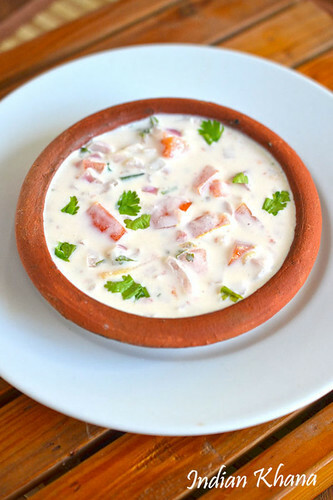 If you like raita then you will like this combination of tomato and onion too, we can also get this raita by itself as a salad specially during summer to keep body cool. I specially like to bite on juicy tomato pieces so it's always good to use fresh ingredients if possible including curd for better taste and flavors. 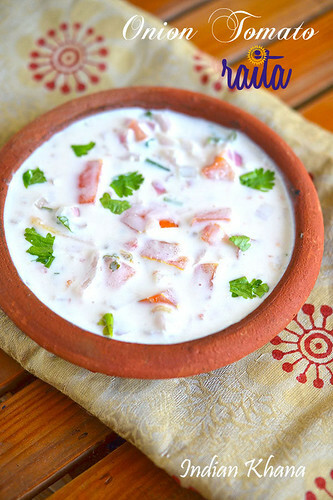 During this hot summer this onion tomato raita is relief and I like to eat this as a quick snack too, try this easy raita and you will like it too. 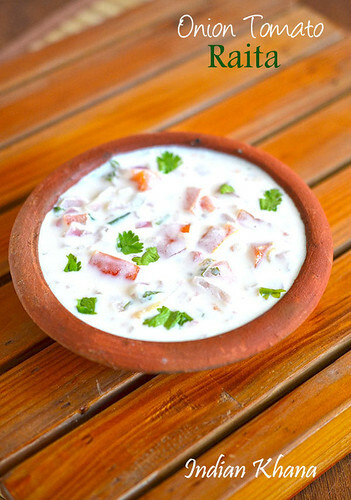 Easy accompaniment (raita) with onion, tomato, chilies and fresh yogurt. Peel and chop onion, tomato, green chilies, coriander leaves. Whisk curd/dahi with salt until smooth. Add all chopped ingredients with curd and mix well. Serve immediately or keep in fridge until ready to serve. Serve with any paratha, variety rice, biryani, pulao etc. You can also add 1 grated carrot. You can also add 1/2 tsp cumin powder. 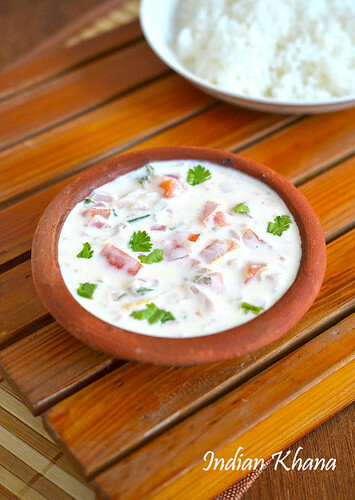 Quick and refreshing onion, tomato raita.